MOTIVATED SELLER! 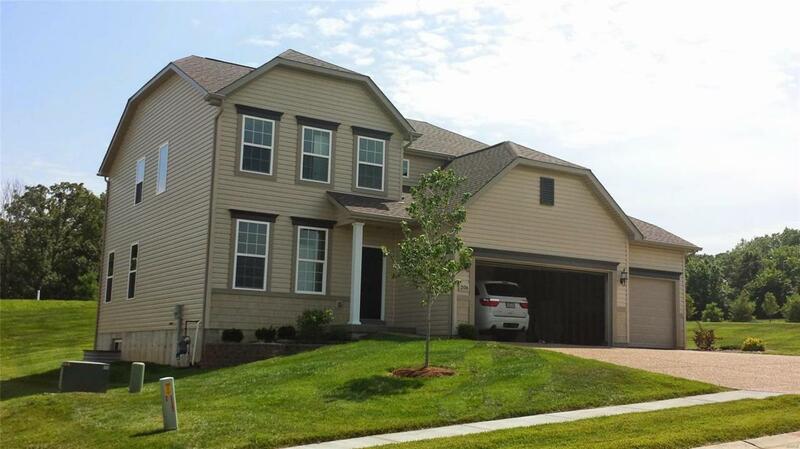 If thinking about building, first consider this MOVE-IN READY, nearly new charming, spacious family home in popular Golf Club of Wentzville. 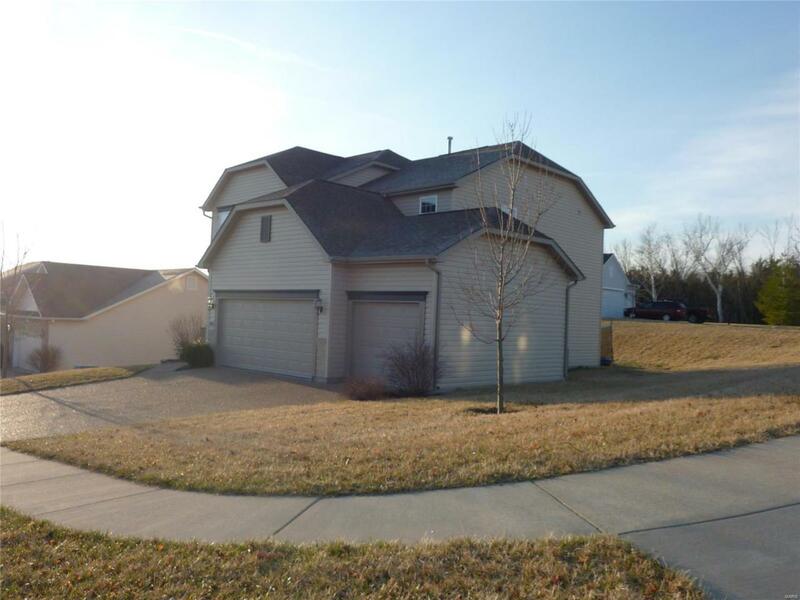 Exceptional 4-bed, 2.5 bath 2-story w huge great room. Open and inviting kitchen has 42" cabinets offering lots of storage. Separate dining; main floor office; mud room; desk area off a massive 3-car garage. 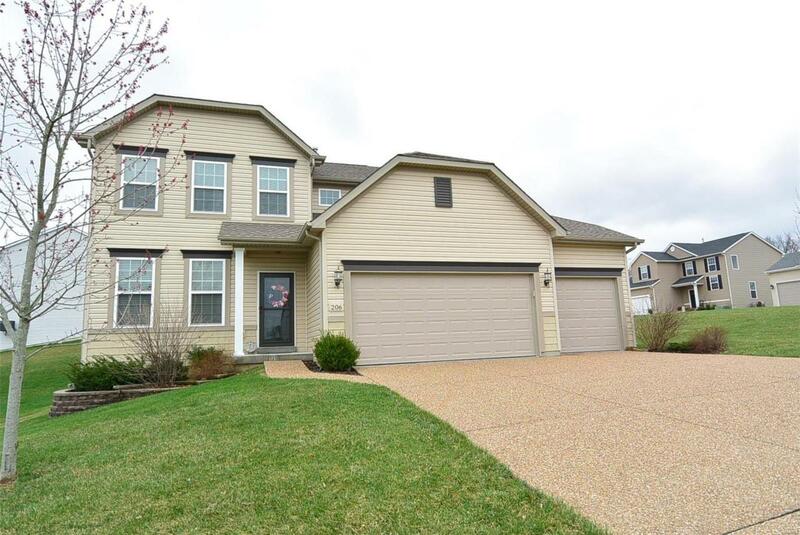 Large master bdrm suite, 2nd floor laundry and 3 additional nice size bedrooms, some walk in closets, make this home a great pick in the highly-acclaimed Wentzville School District. 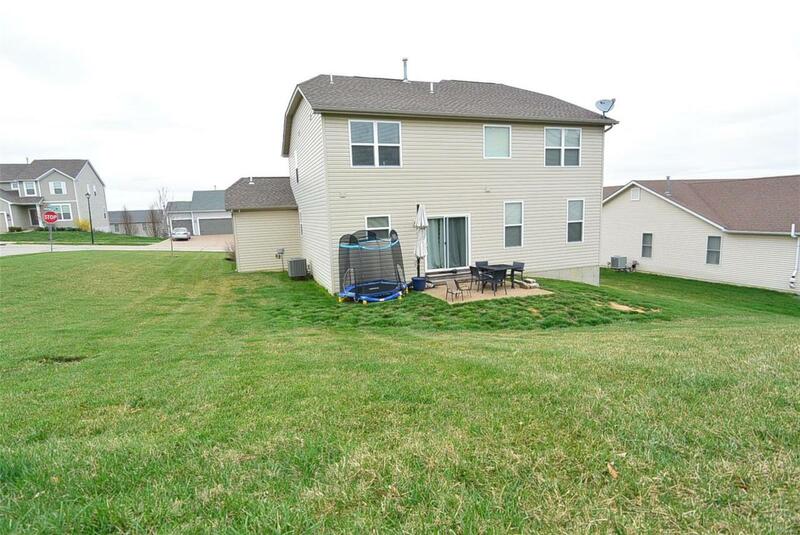 Full basement with rough-in bath. Corner lot with roomy side yard in a family-friendly community is well-kept, has a convenient in-ground sprinkler system and oversized patio. Beautiful aggregate driveway, neutral decor and low maintenance vinyl siding makes this home the complete package. ONLY ONE OWNER-purchased from builder. Now's the time to get settled before the new school year starts. Easily accessed from Hwy N to avoid subdivision traffic.